A social-housing apartment that stood empty for five years is becoming a family home again, after being refurbished for a Venice Architecture Biennale show. 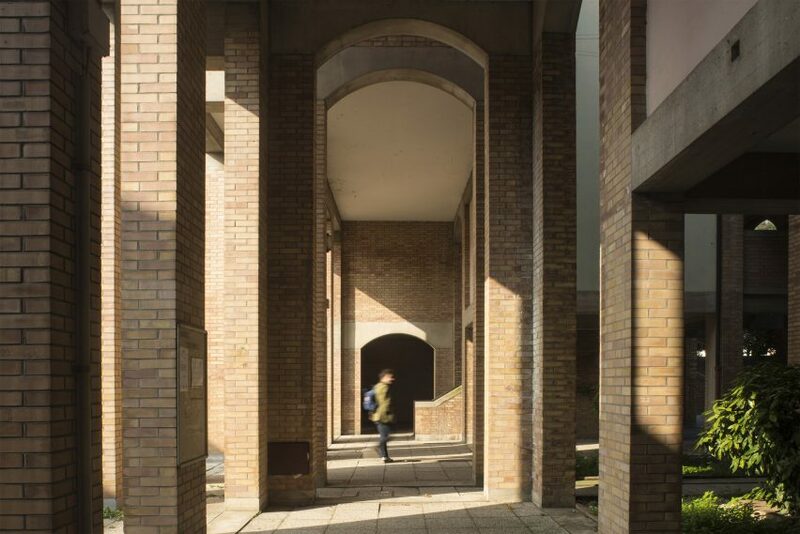 The Unfolding Pavilion was a week-long exhibition inside a triplex flat in the Giudecca Social Housing Complex, which was built by Italian architect Gino Valle in 1986. The flat was in a state of disrepair ahead of the exhibition. But now the show is over, it is being returned to a habitable state. This means it can once more be let out as social housing. 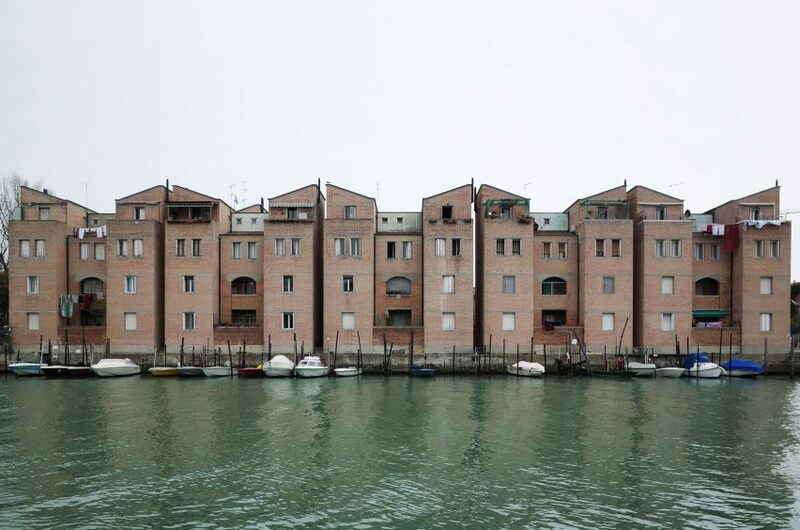 According to exhibition curators Daniel Tudor Munteanu, Davide Tommaso Ferrando and Sara Favargiotti, the apartment is an example of the many social-housing properties in Venice that are not being used, even though they only need minor repairs. This is despite Venice being one of the world’s most expensive cities. “We discovered that, from the 94 apartments that comprise the complex, nine – so basically 10 per cent – are empty,” Tudor Munteanu told Dezeen. The group managed to complete all the necessary works for €7,000, approximately £6,200, by carrying out some of the labour themselves. The see the project as an example of how costly exhibitions, particularly those staged for the Venice Biennale, can also have a social impact. The Unfolding Pavilion was only on show for the first week of the Venice Architecture Biennale, which opened to the public last month and continues until 25 November. The apartment and public spaces of the estate were used to host a three-day programme of events, including a round-table event and aperitivo with residents and architecture experts. The exhibition itself saw rooms of the apartment transformed by a group of Italian architects born in the 1980s, who created wallpaper, furniture, drawings and installations based on the Giudecca Social Housing complex. Valle’s original drawings and a model of the estate, which was built in the early 1980s were also included. The apartment has now been returned to the housing organisation in preparation for a family to move in this August. However the eight other empty apartments in the estate remain unlet. The 16th Venice Architecture Biennale was curated by Irish architects Yvonne Farrell and Shelley McNamara. In an interview with Dezeen, the pair explained that this year’s theme, Freespace, aims to shine a light on how architects “give something back to the places that we’re inhabiting”. Other housing-focused exhibitions at the biennale this year include Robin Hood Gardens: A Ruin in Reverse, which calls for a rethink of the way social housing is created. 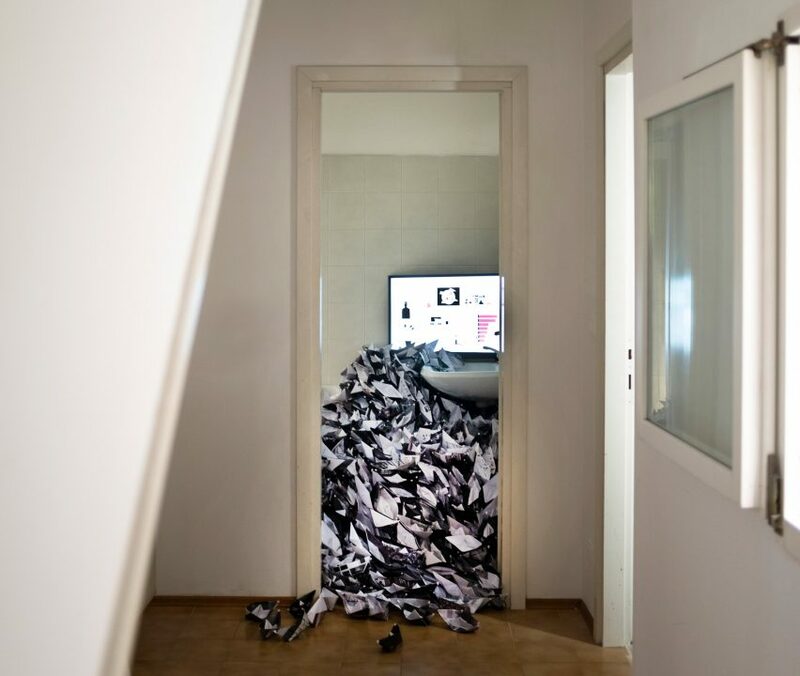 The Unfolding Pavilion also focused on housing for the past edition of the biennale, when Daniel Tudor Munteanu and Davide Tommaso Ferrando offered visitors a glimpse inside Ignazio Gardella’s Casa alle Zattere, through the unorthodox method of renting an apartment on Airbnb.